Since 1991, Cheryl's Herbs has grown into a thriving wholesale-retail-mail order enterprise, featuring the finest quality Pure Essential Oils and Herbs available. Our goal at Cheryl’s Herbs is to make it easier and more convenient for you to have a more natural and healthy lifestyle. We offer something for everyone from pre-mixed prepared products to all of our single ingredients, bottles and jars, for those who wish to make their own preparations. Kangaroo Kids is a children's and maternity resale shop and a breastfeeding support center. In addition to having great resale clothing, shoes, and baby equipment we sell great new brands like Phil and Ted's strollers and gear, Britax Car Seats, the Miracle Blanket, Bobux Shoes, Green Toys and many more! Our staff are Certified Lactation Counselors and we offer that as a free service to our community. Come in anytime and get free help with breastfeeding. no appointment is needed. We are an authorized Medela retailer offering all of Medelas breast pumps and accessories. We carry many brands of nursing bras and tanks and can fit you anytime. Come see us! Stellar Batik is a family owned and operated batik business that has been painting the town since 2001. We use the in-depth process of batik to produce high quality, handmade, one-of-a-kind clothing and accessories. We pride ourselves on having some of the brightest colors and creative designs in the business. We are dedicated to constantly evolving our art form to make as low an impact on our earth as possible. 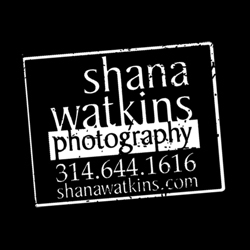 The very best photographer of babies & maternity, children & family, and high school seniors in St. Louis ! Specializing in storytelling, emotional and relationship-based images, Shana Watkins creates portraits for St. Louis's most selective families and high school seniors. Complete Fitness Results is hands down the best personal training in St. Louis. We know everyone says they are the best, so here are the reasons why you should trust Complete Fitness Results to help you with your fitness training needs. You WILL Get Results: At Complete Fitness Results it's in the name. It is our number one goal to deliver you the results that you want. We regularly assess goals with our clients and create action plans to ensure you achieve them. Programs are created from experienced trainers with proven success and constantly evolve to meet your fitness needs. Every aspect of your life is taken into account. We help you with not only workouts, but nutrition, goal setting, planning, motivation, and accountability. We GUARANTEE that if you follow our program, you will get the results you want!